My niece came down from Pittsburgh because she wanted her senior portrait taken a Ricketts Glen. Ricketts Glen is a 4-5 mile loop full of water falls. We made it about half way before the rain came. 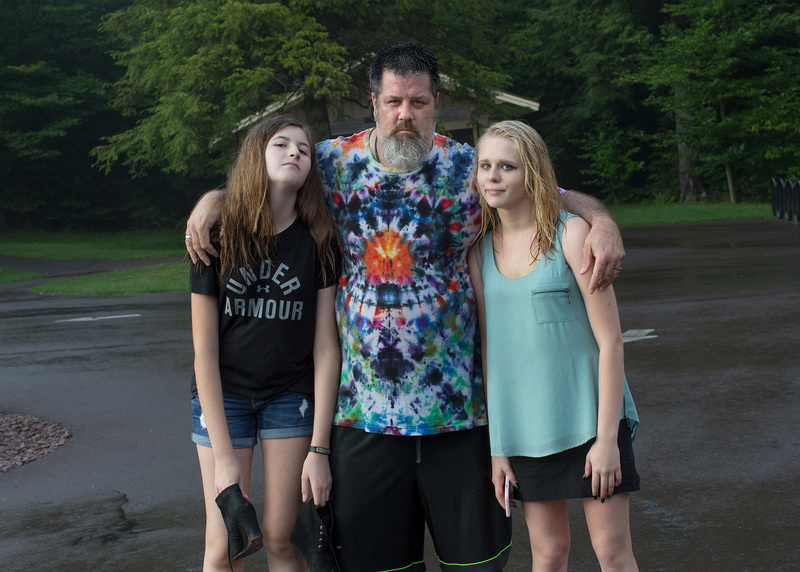 This first image is us about five minutes before we got soaked. The next day I took her to Harrisburg, because I thought it fit her better. She had a totally different look that worked well with the urban landscape. I toned these image all black and white because the color was not beneficial. Usually, one of the first questions I get asked when I get hire for a location portrait is “What to Wear” I just added a basic overview to my website to help with this question. There is not a perfect answer because it really involves a combination of factors. Location, hair color, purpose and a variety of other factors. Most important is probably location. Color or patterns in clothing can make or break a photo. A general rule is patterns are very difficult in rural locations unless the background is very neutral. Patterns and bold color work best in urban or neutral location. The best scenario is to consult with the photographer. They can give you suggestions on what to wear. A variety of clothing is best. Click on any of the above links to go directly to my page with examples of how clothing can affect a portrait.